At first glance I thought it was an advertisement for a bakery. 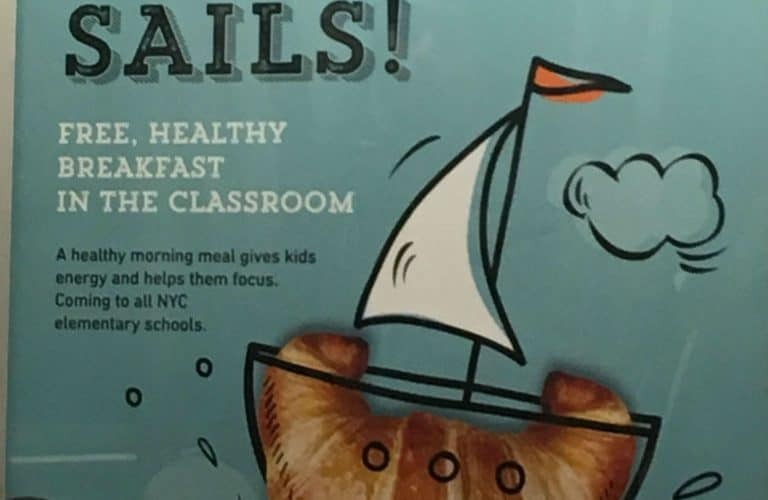 I certainly didn’t think it was going to be an ad for school children and their parents, put out by the New York City Department of Education and Share Our Strength’s No Kid Hungry campaign. 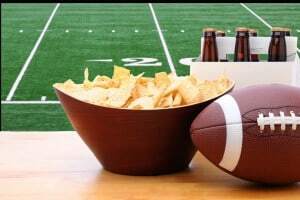 Both organizations offer wonderful programs and often have a positive impact on healthy eating. That’s why I was surprised to see this ad, and wondered if it was a mistake. If they wanted to capture children’s attention with unhealthy food, wouldn’t they have been better off showing an image of a doughnut? How many little kids (in the Breakfast in the Classroom program or not) actually know what a croissant is? This is one of three posters created for the program; both of the others show healthier images. What is Healthy? Is a Croissant So Bad? First, let’s take a peek at the term “healthy.” Under Merriam-Webster’s definition of healthy you’ll see phrases such as “free from disease or pain” or “beneficial to one’s physical, mental, or emotional state; conducive to health.” Not sure a croissant fits in here. 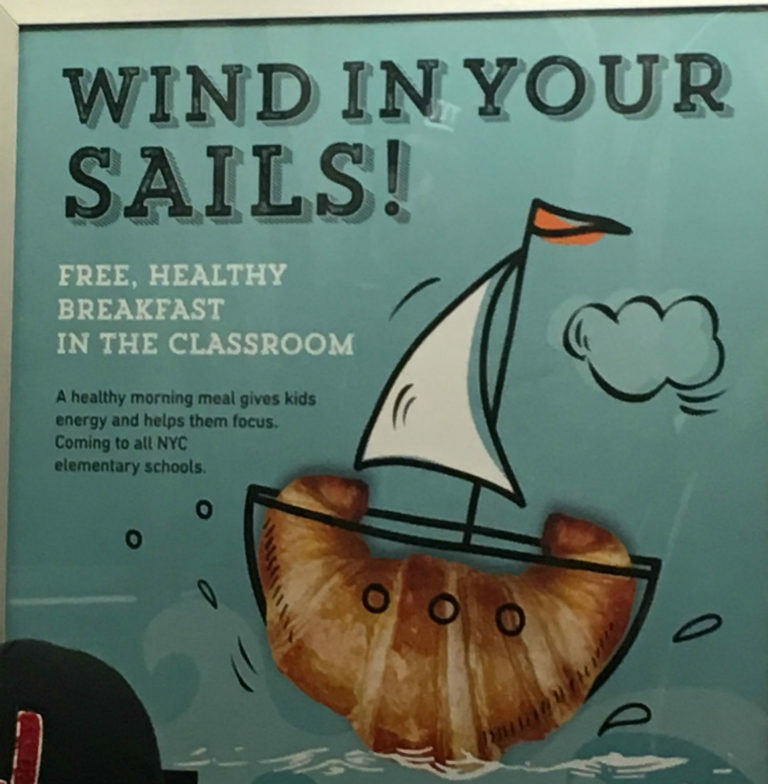 It’s not that you can’t or shouldn’t have the occasional croissant, but what kind of message does it send to tell children and parents that a croissant is a healthy breakfast? It can be hard enough for parents to get their kids to eat fruits, vegetables, and other healthy foods. But when a croissant is defined as healthy by the New York City Department of Education, it’s essentially a stamp of approval saying that a croissant is OK to eat — whenever. And while this particular croissant may meet NYC DOE standards, the photo doesn’t tell us that. The reality is that a croissant can have as many as 500-600 calories — much more than a kid should eat for breakfast. The good news is that there is also strong research demonstrating that images of healthy foods can increase the consumption of healthy foods. “Well, I am a huge proponent of universal school breakfasts in low-income schools and have been very supportive of the improved nutrition standards for all school meals and snacks as part of the Healthy Hunger Free Kids Act. I must admit, however, that putting a croissant as the featured food in this poster was a very odd choice. I imagine there are croissants on the market that are small enough, and perhaps made with less fat and some whole grains, that would fit into the nutrition standards, but it still isn’t what I would have chosen to feature in an ad. It would have made more sense to feature fresh fruit in the poster, as increasing whole fruit is one of the improvements that has been made to the breakfast. -Charles Spence, PhD, Professor and Experimental Psychologist, University of Oxford in England. Watch Out for the “Nag Factor.” Practice the art of saying NO to your kids when they ask for unhealthy foods at the supermarket, in restaurants or at home. Photographs and Images of Healthy Foods Help! Try hanging images of fruits and vegetables in your kitchen. Change them often. Keep Fruits and Veggies Handy. if you have lots of fruits and vegetables visible and ready to eat, you and your family will be more likely to choose them over other, less healthy foods. Veggies First. Always offer your kids vegetables first, when they’re hungriest. When Introducing New Foods to Your Kids, Use the Familiar Along with the New Try to introduce new foods along with a familiar one. Copying Behaviors. Kids mimic the eating behaviors of their parents, teachers, siblings, peers and people they see on TV and in advertisements. If you want them to eat healthier, model healthy eating. Don’t be the Diet Police. Instead of criticizing, try showing support when family members actually eat healthier foods. Shape Your Food. Make the food look good by presenting it in familiar, fun shapes. Eat Healthy Meals Together. Sitting down at a table (no TV) and eating meals as a family increases the likelihood that your family will eat more fruits and vegetables, and decreases the consumption of unhealthy foods (e.g., soda).